Sara and her mom have a plan to finally escape Sara’s abusive father. But when her mom doesn’t show up as expected, Sara’s terrified. Her father says that she’s on a business trip, but Sara knows he’s lying. Her mom is missing—and her dad had something to do with it. With each day that passes, Sara’s more on edge. Her friends know that something’s wrong, but she won’t endanger anyone else with her secret. And with her dad growing increasingly violent, Sara must figure out what happened to her mom before it’s too late…for them both. 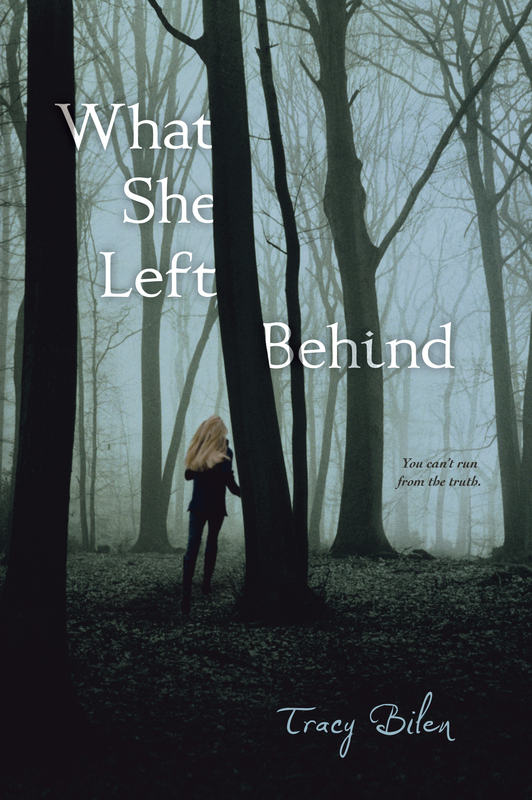 Sara and her mom have a plan to leave Sara’s abusive ex-cop dad and never look back. When her mom doesn’t show up as planned at their meeting place, Sara knows something is very wrong. Back home, her dad tells her that her mom is on a business trip, an obvious lie she can’t ignore. Sara’s life is in shambles- her brother committed suicide months earlier, now her mom has disappeared and she’s left alone with her unstable father. She can’t go to the cops- her dad is still has friends at the station- and she can’t tell her friends anything for fear of putting them in danger. With her father becoming increasingly violent, Sara knows she has to find out what happened to her mom and get out before it’s too late. I picked up What She Left Behind because I have been dying to read Bilen’s upcoming July release, Watch Your Back. When I saw that this was her first novel, I just had to give it a try (plus that cover was pretty intriguing!). I don’t really know where to start with explaining how I felt about this book. On one hand, I really enjoyed it. The mystery of it all had my heart pounding. Sara’s character was genuine and the author did an awesome job of making us feel her every emotion with flashbacks that were raw and connective. She has a pretty great best friend, Zach, and handsome love interest Alex. On the other hand, there was some sort of disconnect that happened with the characters. Holes, if you will. Alex just appeared out of nowhere, simply there to be the romantic interest of the story with no real relationship focused on between him and Sara. Sara’s dad was all sorts of crazy, he went from being a very particular, cruel-ish man to psychotic and absolutely insane- it was weird. It also didn’t make sense that nobody (meaning Sara, her mom, Zach) even thought to seek help elsewhere? We got hardly any interaction between Sara and the people around her. I’m not saying it wasn’t a good book because, let’s be honest, my eyes were glued to the page throughout. It just could have been so much more. Just my honest opinion. Overall an intense quick read that will keep you turning the pages, I would recommend this book to anyone who likes YA and mystery. I liked it. It’s one of those books that will be hard to forget. Thanks for visiting Will Bake for Books! What is on your summer TBR list? Haven’t heard of this one, but it sounds really interesting. Plus… I do love a good mystery. Thanks much for sharing your review, Bekah. It’s fabulous.